The Humane Society of the Delta (HSD) is situated in Helena, Arkansas, one of the most impoverished areas of the United States. The HSD, a 501(c)(3) charitable organization, operates a no-kill shelter for injured, abused, sick, and unwanted dogs. It is the only shelter of its kind in its area. The shelter is volunteer-run and is supported entirely by contributions from the public. It receives no government funding. It is obvious from the video above that the facility within which the animals awaiting adoption are housed is substandard--it's unheated, un-airconditioned, subject to adverse weather conditions, lacks adequate security, etc., etc.--but it's all they can afford just to keep the animals fed and treated for their various ailments, let alone housed in decent quarters. But what the ladies running the shelter lack in funds, they do their best to make up for it with boundless love and selfless care. Right now the shelter is housing approximately 180 adult dogs and 80 puppies (up from 30 just a few weeks ago). More than 120 of the adults dogs are heartworm positive, but the shelter lacks funds for their treatment. Heartworm treatment costs about $250-$400 per dog, depending on the size of the dog. Unless treated, the dogs cannot be shipped north for adoption. If left untreated long enough, they will die. Only 20 are being treated at this time, as the shelter is running very low on funds. Just last week, the shelter put out an appeal for food, as the volunteers had only two or three days worth of food on hand and 240 hungry mouths to feed. I myself just arranged delivery of 600 pounds of dog and puppy food to the shelter as an interim stopgap measure, but this is just a drop in the proverbial bucket. THE INITIAL OBJECTIVE OF THIS GOFUNDME CAMPAIGN IS TO PROVIDE HEARTWORM TREAMENT FOR EVERY ONE OF THE SHELTER'S DOGS, with any surplus to be applied as needed to the cost of future veterinary care. More abused, injured, and starving dogs, most of whom are heartworm positive, at the shelter (or are found by the shelter's miracle-workers dumped by the side of the road or in other horrible circumstances) daily. Pets currently available for adoption at the shelter can be seen at www.humanesocietyofthedelta.org/adopt. Note that the shelter can arrange safe transport, at actual cost, of adopted pets to any of several locations in the northeastern United States--even all the way up to Maine! The women who operate the shelter both need and are deserving of your support, as are the animals for whom they care. Please help me to help them! Your gift of $250-$400 would pay for heartworm treatment of one dog at the Humane Society fo the Delta. Or, if you have love in your heart and room in your home, adopt a dog-- one like "McWilliams " ("Mac" for short), for instance, a cute, friendly heartworm-positive bundle of love and affection--but who, without heartworm treatment, can never be shipped north to find his fur-ever home. Update! "McWilliams" is now one of the lucky few dogs who have begun heartworm treatment; arrangements can be made now to adopt him as soon as he's finished his 6-week course of treatment. Check him out! He's a sweetheart! Just a few hours left in #GivingTuesday. You have donated almost $4000.00 to help our cause! We couldn't do what we do without your help! This #GivingTuesday, we want to bring awareness to the issue of animal abuse and neglect in our community. Part of our mission is to advocate for those animals, we must be their voice when they have none. Far too long these issues have been swept under the rug. By donating now you can help ensure that we are here the next time a call comes for help for another pet. We are still short money to make our goal of being able to have our animal caretaker live on site. Please consider donating to this fundraiser. Having our animal care manager on site would be the biggest game changer for our shelter’s security. If you would like to donate, please use our PayPal on our web page so we have access to the money immediately. (Facebook fundraisers take over a month to get the funds.) Please put “mobile home” in the notes so we know your wishes. Or mail us a check so that PayPal doesn’t take any fees out. (Please put “mobile home” in the notes so we know your wishes. We never want this to happen to our animals again and that is why we have come up with a multi layered approach to our security issues. 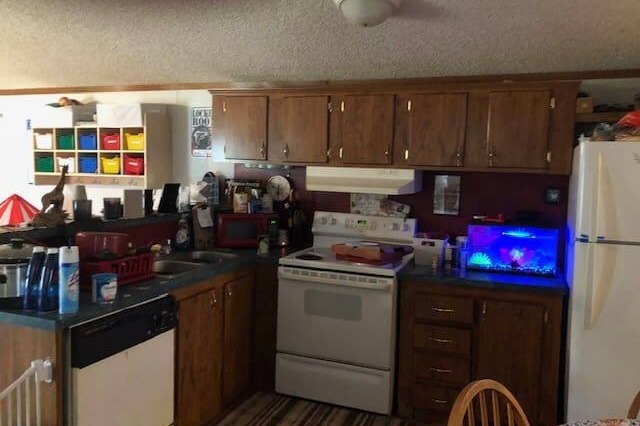 We have found a mobile home and want to move it onto our property. Our Animal Care Manager and other animal caretaker would live in this home on the shelter grounds. 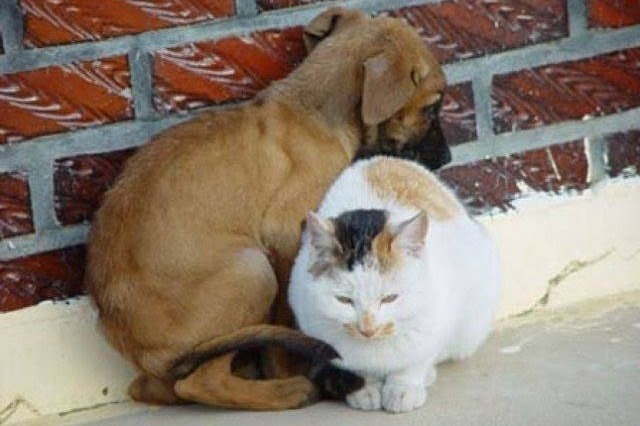 Ever since the break in, our Animal Care Manager and other workers have been sleeping in the cold, unheated office because they just want to be here in case someone comes on the property again. (If you are new to this story, twice last month someone came onto our property at night and hurt some of our dogs. Three years ago someone came on the property and killed some of our dogs.) Go to our Facebook page to see what happened, Facebook will not let us post the pictures of the break ins on this post. The fence with razor wire is amazing but it can be broken into and it has its limitations. Several of you have stated that you would like to help us make this happen. Well, here’s your chance! 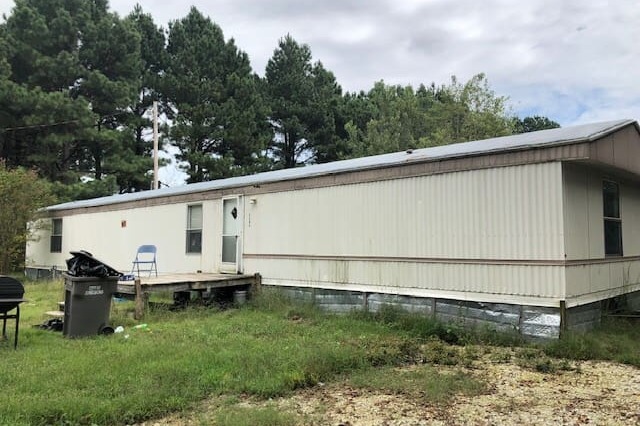 We found a 2001 mobile home for sale and we need $13,000 to buy it, move it and connect it. We do NOT have the funds to make this happen. This mobile home is ready as of next week and we really want to be the ones to buy it. A family is living in it now but have purchased a new home and are moving out. This mobile home will belong to our shelter and will greatly improve our peace of mind. Donate using the PayPal Giving Fund and we receive 100% of your donation! Visit " https://www.paypal.com/us/fundraiser/charity/1357778"
for more information and to make a donation. Of course, giving via this GoFundMe campaign will also work! Here is what happened if you are new to our page and the mobile home that we found. It’s a 2001 but in good condition!! 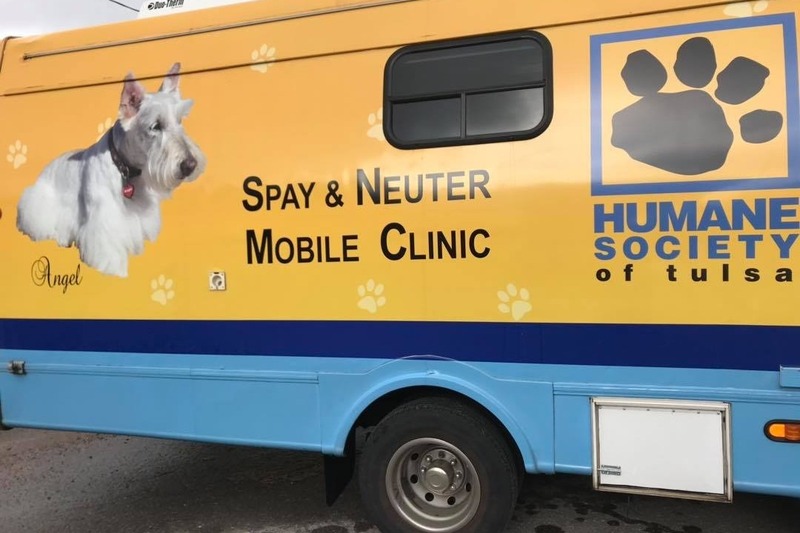 Tulsa Humane Society came to see us this morning and we were able to transfer 25 adults and a mom with 7 puppies to their care. From here they will go to Tulsa and be seen by their vet staff for spay neuter and other health issues and be available for adoption there. A large number will continue to travel to Wisconsin for adoption there. Our “kids” are having the road trip of their lives!!!! Thank you Wings of Rescue for introducing us to Tulsa!! Life is Good!! 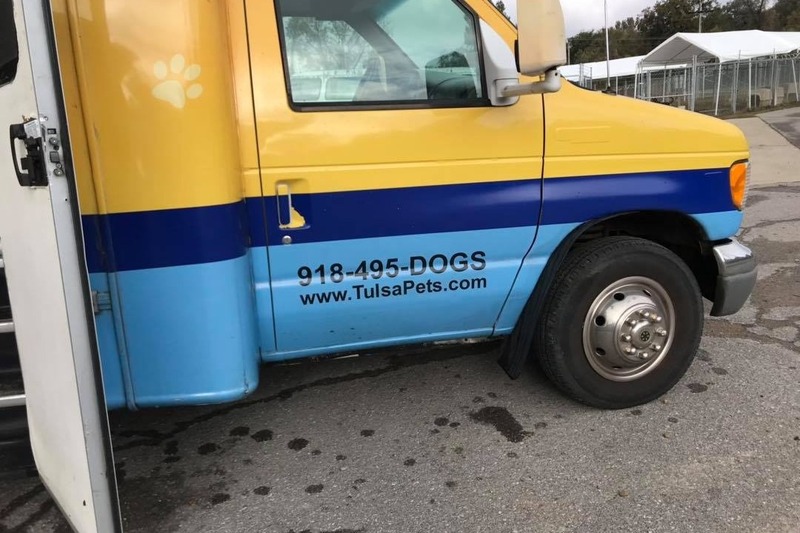 Dan from Tulsa told me a person asked him this morning if they went to get their dog could he fix her since he is driving the spay neuter bus. I told him that made me so happy someone in Helena believed in spay neuter. As many of you are aware, twice last month people came on to our property and several animals were injured, one severely. Thank you to everyone who donated for us to be able to accomplish this!! Our property is now completely surrounded by fence and razor wire! And thank you to Hardman’s fencing of Helena, Arkansas. You were the only company to give us a reasonable quote and you did such quick work for us to protect our animals!!! We are so grateful! !